The biannual Employment Outlook Report by TeamLease Services forecasts an increase of 4 per cent in the net employment outlook to 95% for the April-September 2018 period versus 91% in October-March 2017-18. An employment outlook report says that hiring will get better in the months ahead, particularly for those at the blue-collar and junior levels. India's GDP growth is expected to translate into higher consumption and companies are preparing for expansion of their products and services in different regions of the country. This is leading to a demand for sales and marketing roles as well as the blue-collar workforce. The biannual Employment Outlook Report (HY1-2018/19) by TeamLease Services, a staffing company, forecasts an increase of 4 per cent in the net employment outlook to 95 per cent for the April-September 2018 period versus 91 per cent in October-March 2017/18. 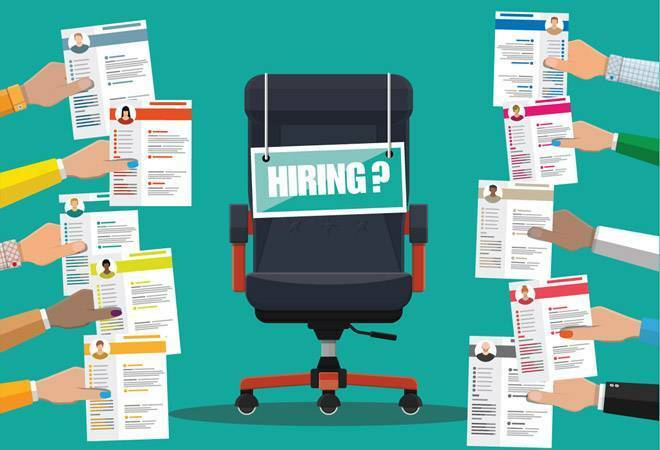 The report states that it surveys 695 small, medium and large companies across 16 sectors and in eight cities "to understand the hiring sentiments". The net employment outlook increase also underlines the fact that companies have come to terms with GST, and is probably moving ahead, Rituparna Chakraborty, co-founder & executive vice president of TeamLease, said. The hiring sentiment is higher for Junior and mid level roles (+4 per cent), Blue Collar roles (+5 per cent) and Sales and Marketing profiles (+4 per cent). Medium sized businesses (+5 per cent) are looking to hire in metro and Tier-1 cities. The outlook for large businesses is an improvement of 4 per cent. In terms of cities, Mumbai (+4 per cent) leads followed by Delhi (+3 per cent), Bangalore, Hyderabad and Pune (+1 per cent each). The report notes that "the sentiment is significantly gone below in Kolkata (-3 per cent), Ahmedabad (-2 per cent) and Chennai (-1 per cent). A few industry clusters show promise although they are different for each city: KPO hiring in sales, tech start-ups, media & entertainment, financial services, constructions & real estate are the sectors that can stimulate hiring this year. Manufacturing, the report states makes a smart recovery, although hiring sentiment in the sector remains low (-2 per cent, but up from -5 per cent during the previous period). The pall of gloom projected in public discourse seems to be based more on hearsay than on hard facts," the report states.